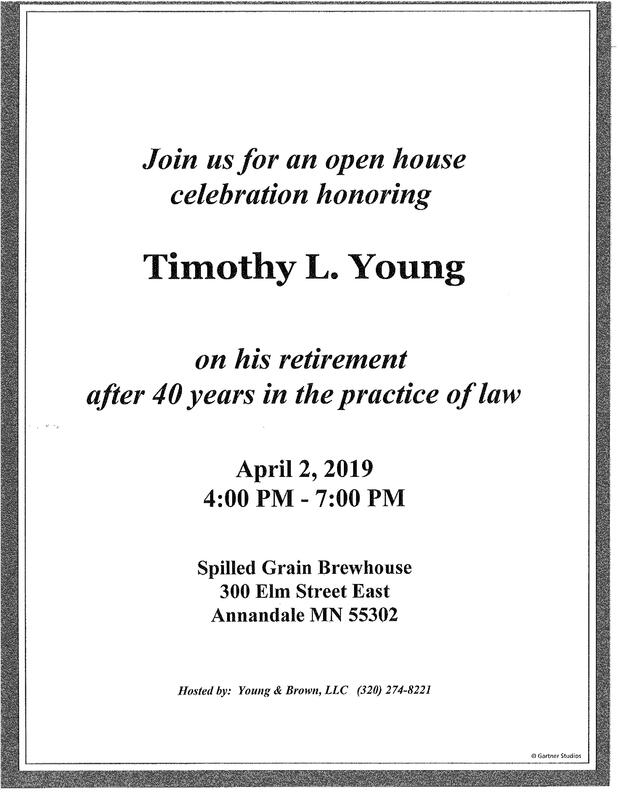 You are cordially invited to an Open House to honor Timothy L. Young on his retirement after 40 years in the practice of law. The celebration (hosted by Young & Brown, LLC) takes place Tuesday, April 2nd, from 4 PM – 7 PM at Spilled Grain Brewhouse. Stop by to wish him well, share memories and enjoy conversation with fellow community members!